We try to find suitable activities for everyone, regardless of their disability. All people are different and everyone has different needs! Together we will always find a good solution – also for you! 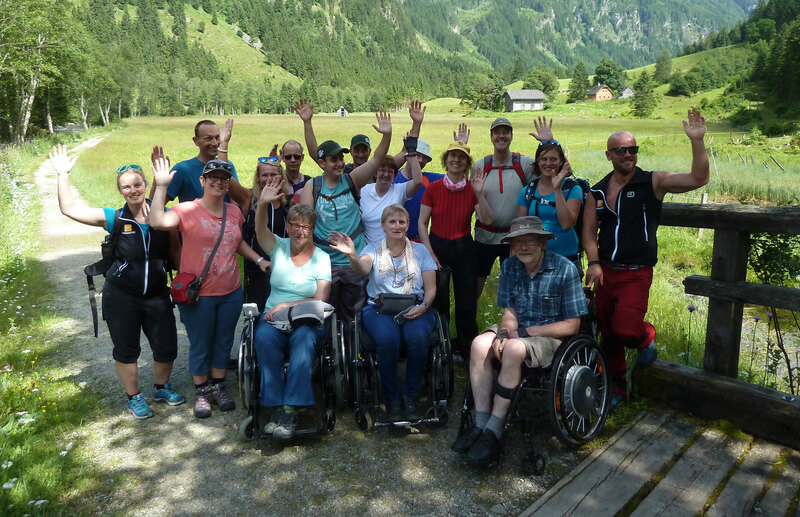 This makes a barrier-free summer holiday in nature and in the mountains, even with disabilities, a very special experience. No matter which impairment, whether amputations, cerebral palsy, spinal cord injury (paraplegia, spina bifida,…), multiple sclerosis, muscle dystrophy, visual impairment, learning disability, head injury or any other impairment – you will find in our offer the holiday best suited for you. We offer some holiday weeks especially for a certain target group. This gives you the opportunity to spend your holidays with like-minded people and make new friends, e.g. our holiday camps for young people and young adults. We offer these specifically for people with a learning disability and separately for people with a purely physical disability.